PlayFusion Ltd, an innovative independent game, technology, and robotics company founded by the leadership and key talent behind the UK’s largest independent developer and publisher of online games, reveals a first look at Lightseekers, its groundbreaking next-generation game. Lightseekers is more than just a mobile game; it’s the fusion of fantasy and reality powered by PlayFusion’s proprietary technology platform that integrates video games, smart action figures with artificial intelligence, augmented reality, interactive trading cards and more, creating the most ambitious transmedia entertainment platform ever envisioned. Additionally, there’s a complete interactive collectible trading card game with 385+ cards that further enhances the Lightseekers universe. Each card, when scanned with the Lightseekers app, delivers augmented reality experiences, rewards game players, and unlocks powerful in-game abilities. In addition to cards, the Lightseekers app can reward players for interacting with almost anything—songs on the radio, shows on TV, movies, posters on the wall, etc. The possibilities are virtually endless. With Lightseekers scheduled for a full retail launch in Spring 2017, this first look allows fans to get into the Lightseekers universe, engage with the development team, and even potentially become part of the beta test. 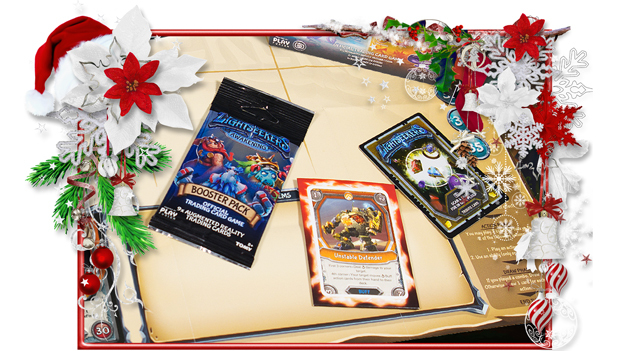 For more details on Lightseekers, click here!